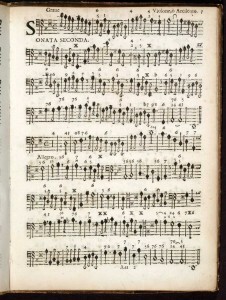 The Rare Collections of the Louise Hanson-Dyer Music Library consist of manuscripts (mainly works by Australian composers from the colonial period to the present day) and printed scores and parts from the 17th century onwards, which are the major part of the collection, including many early and rare editions of European composers. For more information see www.lib.unimelb.edu.au/collections/music/rare/index.html. 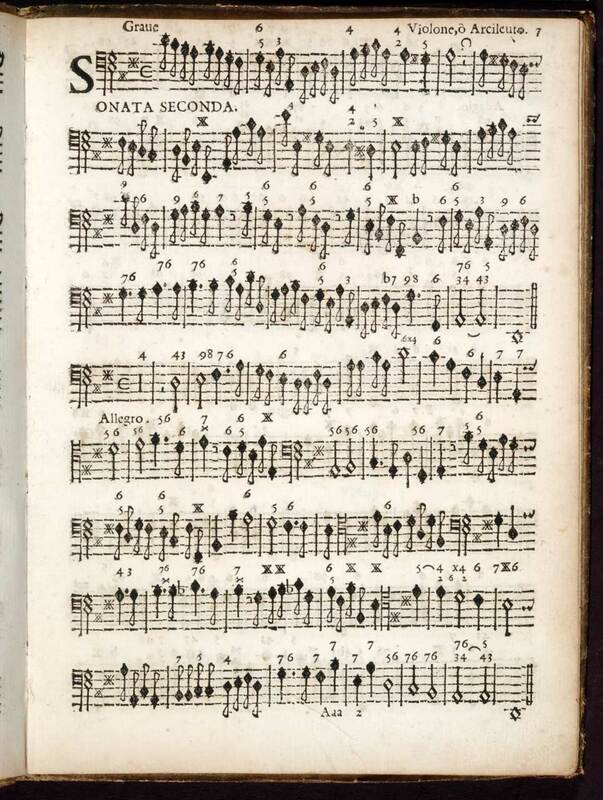 Pictured: Arcangelo Corelli, Trio Sonatas, Op.3 (partbook, 1689), title page and p. 7, Louise Hanson-Dyer Music Library, University of Melbourne. The Eragny Press, one of the fine private presses of the late 19th and early 20th centuries, is held by the University Library and is the only complete holding of the Press in the southern hemisphere. Created by Lucien Pissarro (son of the French Impressionist painter Camille) and his wife Esther, the Eragny Press was very influential on book design and typography. 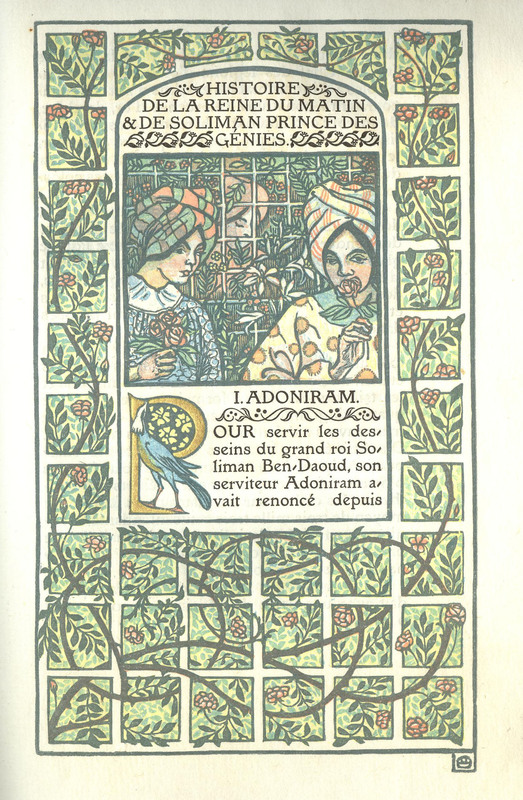 Its 32 publications are a significant addition to the University’s research material on the Arts and Crafts movement, and, uniquely, it combined elements of that movement with those of the French Impressionists. For more information on the Press, see www.unimelb.edu.au/culturalcollections/research/collections2/fleming.pdf. 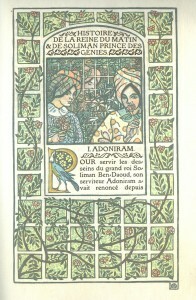 Pictured: Gerard de Nerval, Histoire de la reine du matin & de Soliman prince des genies, frontispiece, Hammersmith: Eragny Press, 1909, Special Collections, University of Melbourne. Arthur W. Purnell (1878-1964) was a Geelong-born architect who built a thriving practice in Melbourne. He designed hundreds of buildings, including the Olympic Stand at the Melbourne Cricket Ground, the Rosebud Yacht Club, and many factories, offices, shops and warehouses. Many of these still exist, including Melbourne landmark Michael’s Corner on Elizabeth Street. Purnell had a close client-architect relationship with Alexander George (‘Alec’) Barlow (1880–1937), a trailblazing Melbourne car dealer. Car show rooms, racing stables and this house were amongst the work completed by Purnell for Barlow. The University of Melbourne Archives is the custodian of Purnell’s architectural drawings, which provide a unique view of architecture and life in Melbourne during the first half of the 20th century. The University Library recently partnered with Arts Victoria to provide information on the Purnell collection on its Culture Victoria website. See www.cv.vic.gov.au/stories/the-architecture-of-arthur-purnell. Above: Arthur W. Purnell, Residence at Punt Road South Yarra for A.G. Barlow esq. (construction drawing), 28 November 1924. Arthur Purnell Collection, University of Melbourne Archives. Image from The Sleeping Beauty, illustrated by Walter Crane, engraved and colour printed by Edmund Evans, London: J. Lane, c.1897. This is from the Morgan Collection of Children’s Books, a substantial part of which was donated to the University Library in 1954 by F.C. Morgan (1878-1978). Morgan was an English librarian and through a connection to Sir John Medley, Vice-Chancellor of the University of Melbourne from 1938 to 1951, he decided to donate to a Commonwealth country, believing that Britain already had sufficient such collections. 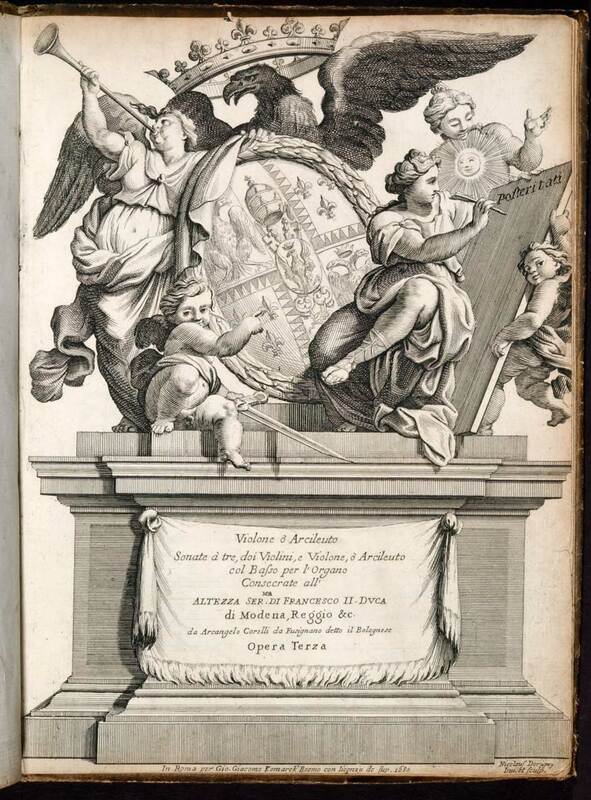 The Morgan Collection has grown to around 4,000 beautiful and fascinating items, which can be viewed in the Special Collections reading room, 3rd floor, Baillieu Library. Subscribe to the Library Collections eNewsletter: a monthly update with stories and images from the Library’s extensive and rich collections. It is not very well known that in addition to his prodigious gifts as pianist and composer, Percy Grainger was also a talented artist. Learning initially from his father John Grainger, the well-known architect (but fine watercolourist), and then from Frederick McCubbin – the famous Australian artist of the Heidelberg School, up until the age of eighteen, Grainger was seriously considering dropping his music career altogether in favour of the visual arts. Given that he befriended artists such as McCubbin, Rupert Bunny, Tom Roberts, Norman Lindsay (to name but a few), this is hardly surprising! Pictured is one of Percy Grainger’s artworks in watercolour. Percy Aldridge Grainger (1882-1961), Oscillator-playing tone tool, 1st experiment, 1951, watercolour, ink and graphite on paper, 14.2 x 25.7 cm, Grainger Museum collection, University of Melbourne.